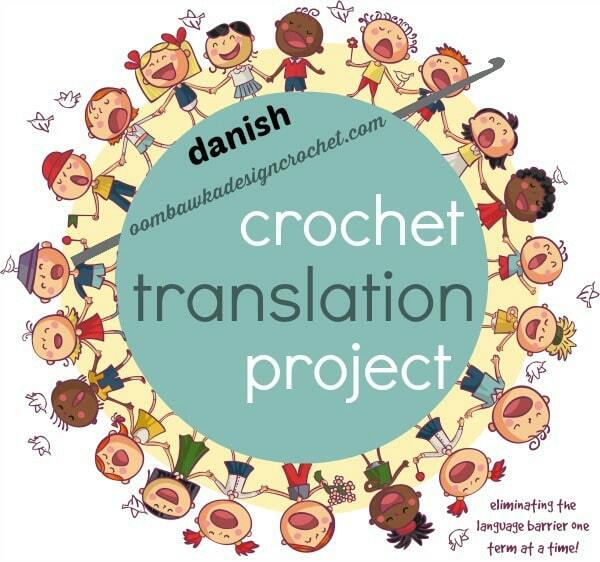 Thank you to: Charlotte Bog Buus Christensen and the post by By Number 19 for their help with these translations. Please remember this is a work-in-progress and if you have any suggestions, corrections or terms to add – please send me a message or leave a comment so we can update the chart! Hi Candace, It is normally recommended that you use a natural fiber like cotton for potholders due to flammability issues with acrylics. It depends on the pattern what weight yarn. We tend to use Medium Weight a lot in the North America but in the UK and Europe it is more often DK weight or lighter – they sometimes double it up and make a front and back for the potholder when they use the lighter weight yarns and threads. My husband’s grandmother who was from the Netherlands used threads and she did a base square and then the decorative square and stitched them together for all her potholders. I’ve updated the Danish post. I apologize for that. I’m not sure what happened to the image version it used to be clear but it must have been resized with the image plugin I use that decreases the data size of each file on the site. I also updated my fonts to make them somewhat bigger which threw the lines off in the list of terms. I reloaded it as a chart so it should all stay together ad the ads shouldn’t be able to squeeze their way in there between the terms anymore (fingers crossed!). Thank you for letting me know 🙂 and good luck with your Danish Patterns! Question 1) what type & what weight of yarn should I use to make pot holders. Your graphic image of the translated terms (chart) is too blurry to read much of it. I could only manage some. ( the online content does not line up the translation equivalents … at least not on my device for some reason) … so i was hoping you could post a chart that is less blurry. My Scandinavian grandmother died when I was 3 so i was unable to learn her patterns which either she knew in her head or her patterns are lost to time. I want to do some of these authentic Scandinavian crocheted potholders. But all seem to be in a Scandinavian language. My grandmother made these and did doilies and table scarves, cutwork lace, embroidery, and quilting. I want to do some pieces for my daughter. Thank you so much for this information!!! I have found it amazingly helpful!! !